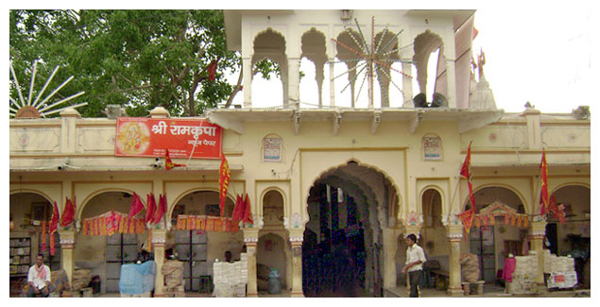 Kheda balaji is one of the most popular temple of Lord Hanuman in Rajasthan. Located near Madorajpura town in Fagi Techsil, the beautiful temple is a monument of faith for thousands of pilgrims across the world. 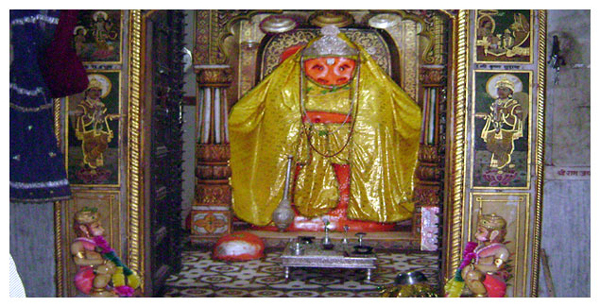 Kheda balaji is one of the most popular temple of Lord Hanuman in Rajasthan. Located near Madorajpura town in Fagi Techsil, the beautiful temple is a monument of faith for thousands of pilgrims across the world. As per the legend, there was a dense forest near Kheda village hundreds of years ago. Shepherds used to bring their cattle to the jungle for feeding them. One day a shepherd noticed that a cow was dropping milk drops at a place under Kareel tree. The shepherd boy called the villagers to the place and start digging the place. To the pleasant surprise, they found lord hanuman's beautiful idol underneath. 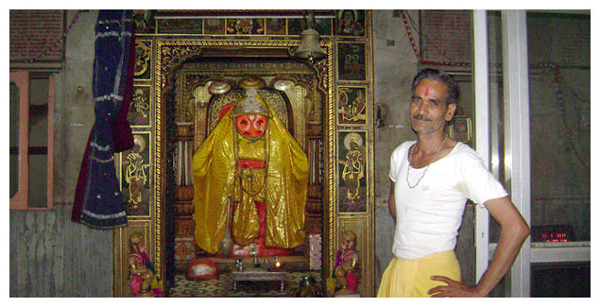 Villagers started chanting hanuman chalisa and, made a small temple there. As the time passed, the temple became more and more popular and pilgrims were visiting the place from across the globe. With the blessings of shri Hanumanji, the life of pilgrims was filled with grace and prosperity. 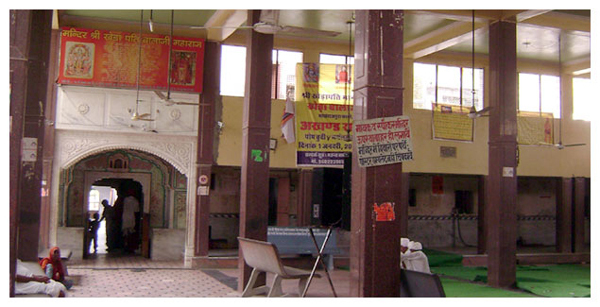 In 1800 AD, the famus deewan of Jaipur maharaja, Shri Daulatramji Haldiya has seen shri hanumanji in his dream. On the great lord's instructions, Haldiyaji has constructed a beautiful temple here in Kheda and, placed the lord hanumanji's idol there. From that day, kheda hanumanji has becom a major destination of worship, medittaion and devotion of people from all sects. Patotsava: On Vaishak Shukla saptami every year, balaji's patotsava is celeberated by devotees here. The lord of lords, shri balaji blesses every pilgrim with health, wealth and prosperity. Very nice information for traveler ..thanks a lot for sharing this information.